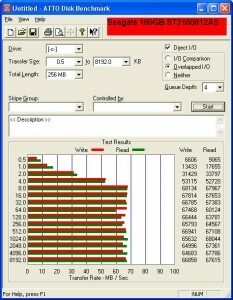 For a quick benchmark of a local disk, or network share on a Windows computer, there is a small application you can use. It requires no installation or setup. Just download, run the exe, and click “Start”. Wait a few minutes and you will have the Read and Write speeds listed in Megabytes. 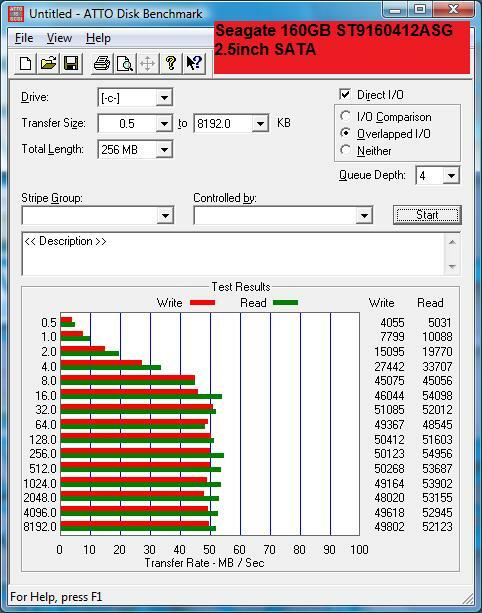 The application is called ATTO Disk Benchmark (bench32.exe). While it is an old application, it had worked perfectly for me on all Windows installs, x32 and x64. I tried using newer versions, however they didn’t seem to like testing a Network drive (via Mapped Network Drive). 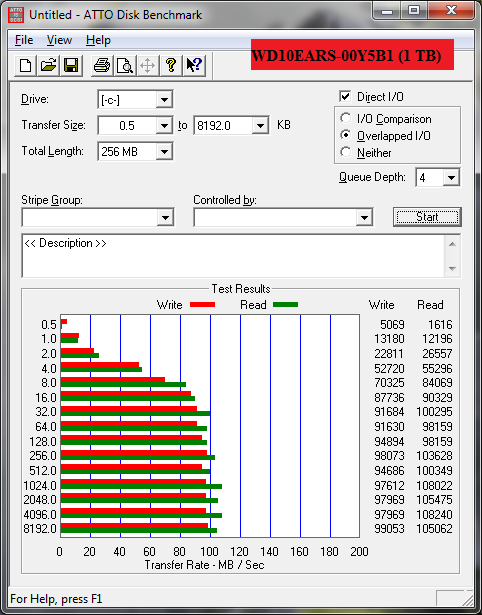 The v2.34 version to which I have linked here does work OK with Network Drives. 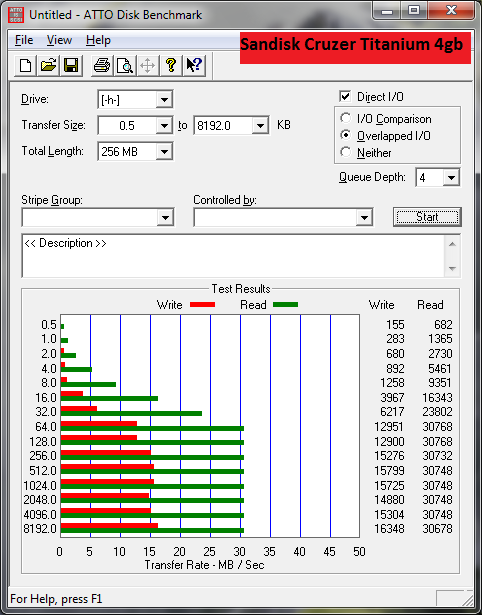 When people think that working across a network with large files should be fine, I get them to run this Disk app which shows clearly the difference between local hard disk speed and the read and write speed across a network. Note: The Disk Benchmark utility uses MegaBytes. This is not to be mixed up with MegaBits. If a computer is connected to a Network at 100Mbps (the small b, means bits and not Bytes). Divide Mbps (megabits per second) by 8, to get MB/sec (megabytes per second). Try downloading it and seeing how fast your Local or Network disks are. The disk benchmark tool starts reading and writing small files, and progresses to reading and writing larger files. Lots of small files takes longer to read and write compared to one single large file for example. This entry was posted in IT and tagged benchmark, computers, disk, IT, LAN, network, windows 7. Bookmark the permalink. Getting rather desperate here. 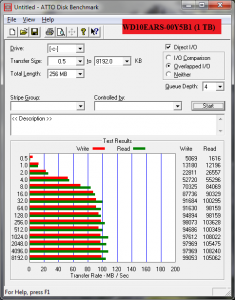 Trying to benchmark a variety of NAS stations, in windows 7. I have a QNAP and a FreeNAS server, both sharing via smaba/CIFS with windows 7 professional. I can use the network shares easily. 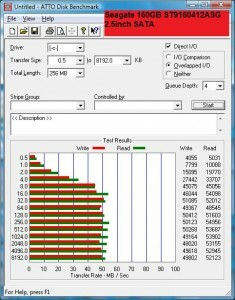 but Im trying to compare them but for the life of me can not find a I/O program that will allow me to see/test the network shares i have mapped as drives. It is driving me bonkers, no one else seems to have the issue. I’ve logged in as admin, run as admin, run in compatibility mode, tried ATTO, IOmeter, Diskmark etc etc no joy. There must be something strange going on. Are you getting a specific error, or are disk meter programs hanging? I take it that your Windows 7 client pc is connected via a Network Cable to the NAS Server? I’ve seen ATTO to crawl and become crippled when doing a benchmark on a client pc connected via wireless. It was down to the packet size setting on the wireless router. This is interesting. 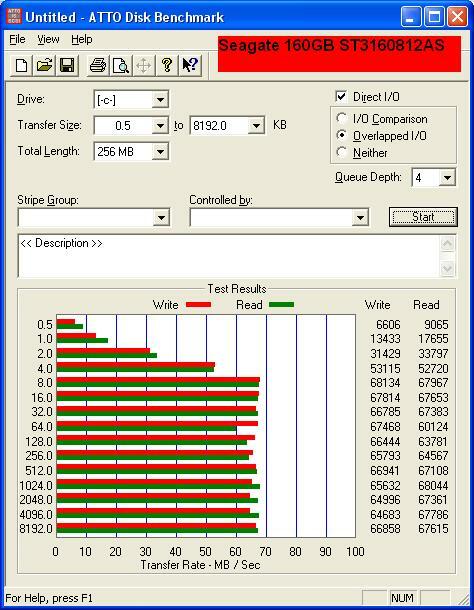 I just yesterday downloaded the latest version of ATTO to test an iSCSI target with different settings to find out which is the most performant. This old (and incredibly small!!!) version of ATTO does indeed support non-physical devices.